I found this chap on Facebook. He is a small home business in Australia. Great tufts, excellent price and shipping is $3.00 USD Australian. Right now the pound sterling to Australian dollar is .55 to 1. So a great deal. US funds to Australian is .75 to 1. 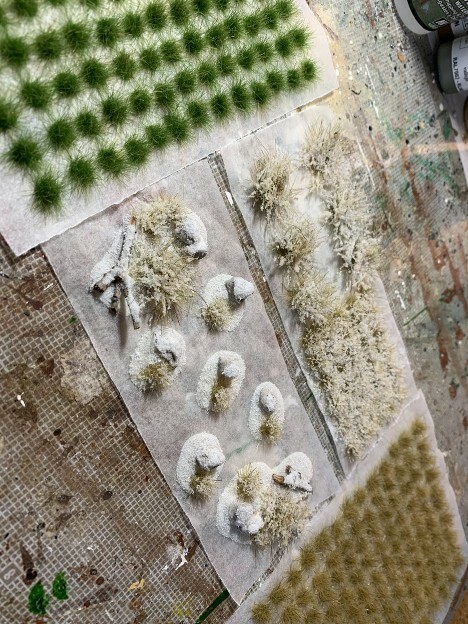 He make 6mm and 12 mm tufts, and here is a new product I requested for my winter board. Nice looking tufts! The winter tufts are a good idea; the set with fallen branches and other snow covered things looks particularly nice. They might go well with my WWII Greeks and Italians for Epirus and the Pindus mountains. I'd think they would also make Frostgrave figures look sharp (not that I have any, but . . .) I won't be buying any for a bit--we had snow yesterday, and expect more Wednesday and I've had enough of that, not to mention listening to friends in Arizona debating about whether or not to turn on the air conditioning. Clearly, these are a thing to buy in the summer, to make you feel cooler, like painting Vikings in the summer and hoplites in the winter. Is it just me, or are tufts a product that has dropped dramatically in price? 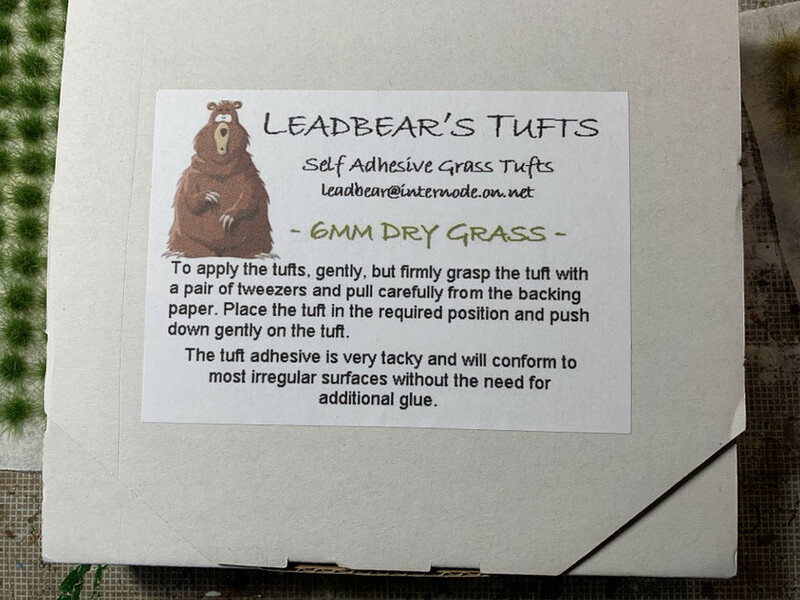 I have been using Leadbear's tufts for a number of years. Recommend them highly. 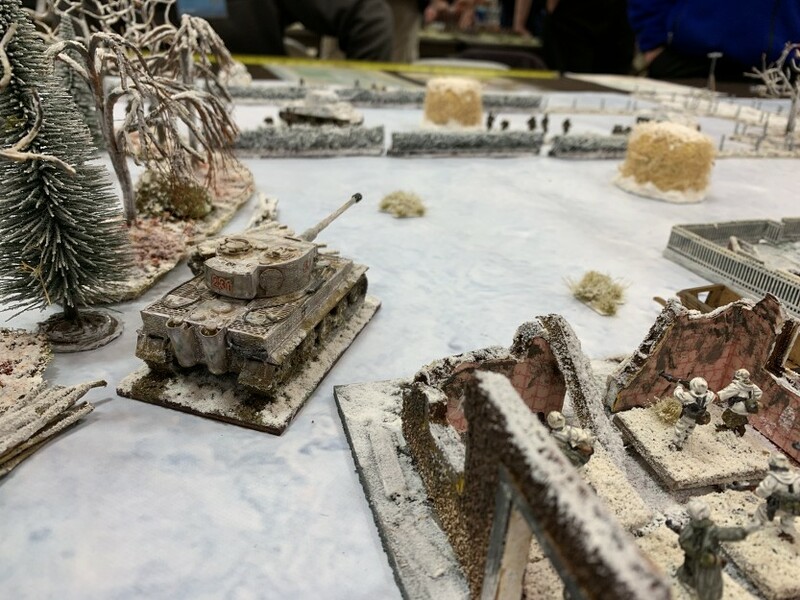 I used some of the winter tufts in my convention game yesterday. These are double plus good. 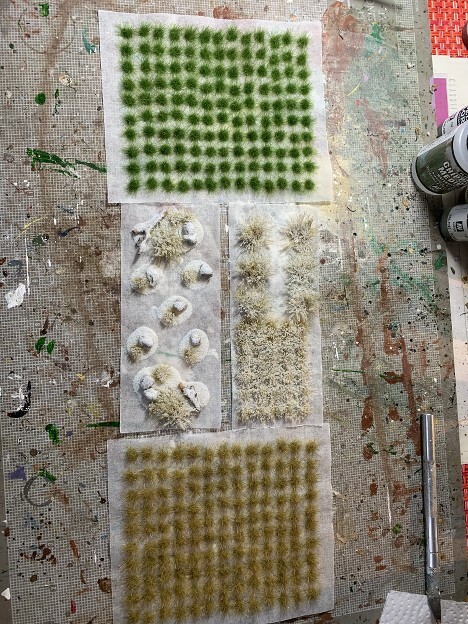 I have gotten quite a few sets from him, have use them on my Congo adventure, samurai and lots of DBA bases. They give a very nice touch to bases that are otherwise only flocked. Another recomendation for Leadbear. Great product ! Love them. I've been using them for years. I've only ordered once but there's so many of them that 3 packs has learned me for hundreds of minis! Agreed, great product and terrific to deal with Barry. Thanks for all the kind word. I greatly appreciate them.